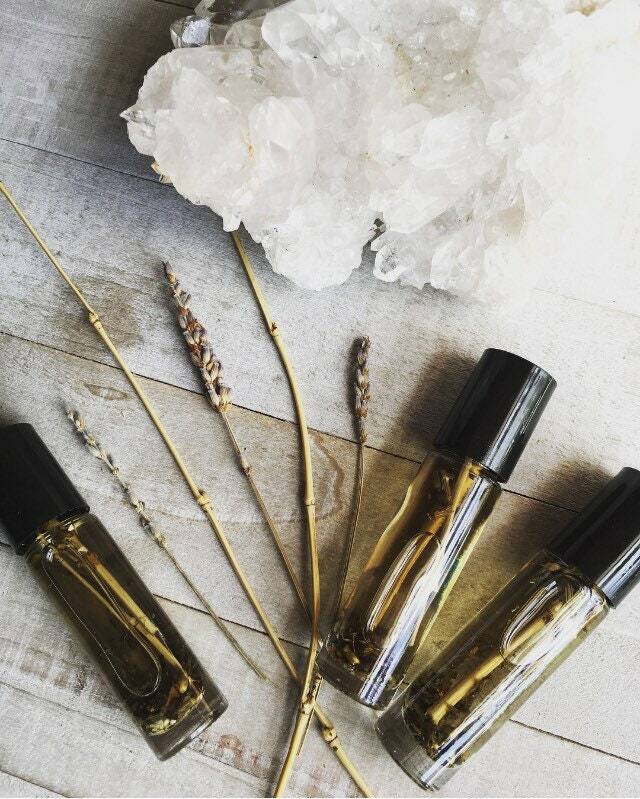 *These crystal energized body oils are designed and handmade by artist Melanie Bodnar. 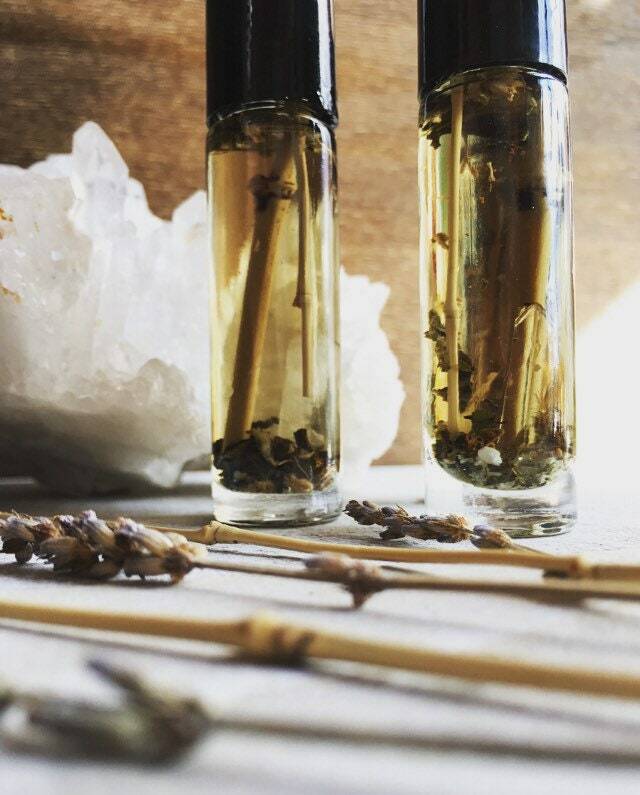 *They are made not only with love but with crystals, dried flowers, dried plants, herbs, pollens, shells, and other natural items! 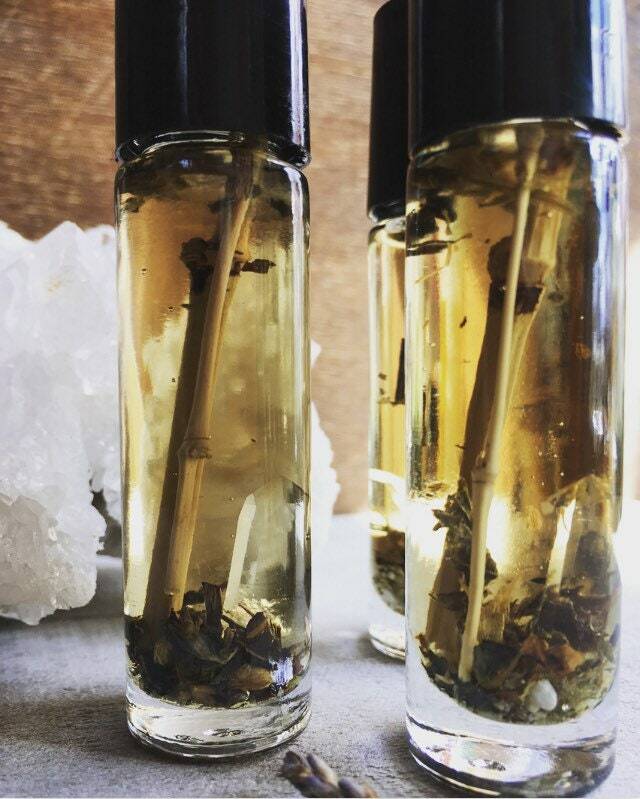 Each bottle is made of glass and contains about 1/3 oz of body oil. *This body oil is called Bamboo and Green Tea. 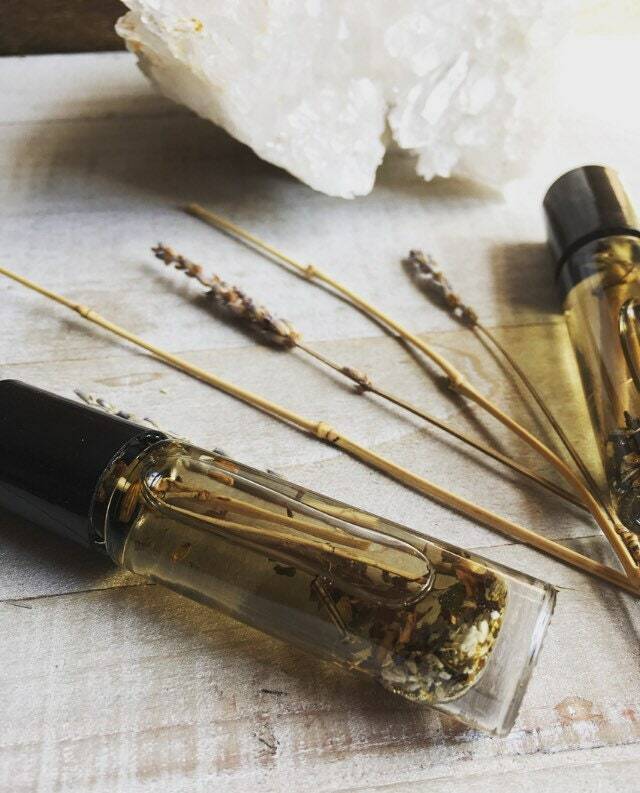 Inside is a clear Quartz point, dried Bamboo, dried Tea leaves and dried Lavender. If you have sensitive skin or any sort of pollen or plant allergies, this may not be the item for you. Real bee pollen, cedar, and other items that people tend to be allergic to, were used while making these oils. We can not accept returns on these items due to contamination after use.